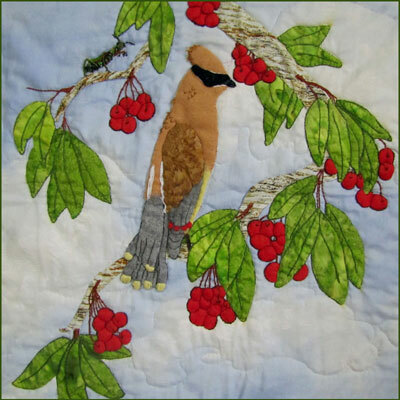 August 2012 Pattern "Waxwing Bandit and His 'Pray'." An appliqued and embellished pattern. Four pages. 14" finished block.